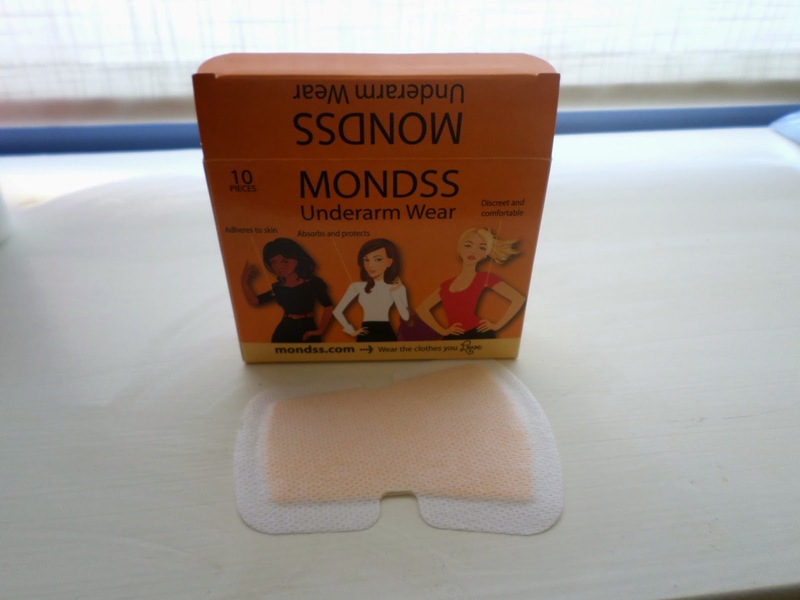 A while ago I was contacted by Jane (CEO of Mondss) who gave me some information on Mondss Underarm Wear and was asked if I would like to review the product. Well after reading about the product I was very interested in trying it out. What is Mondss Underarm Wear I hear you ask? Well, it is a solution to those pesky underarm stains we can all get from perspiring. It is advertised as a natural product that will lock in odour and prevent stains. Why would I use it? Well, I don’t know about you but I know that a lot of the time I will choose the colour of my clothes on the basis of how warm my destination will be or if I will perspire much getting to the destination. I don’t want to wear a coloured top like purple or grey and be self conscious about sweat stains the whole time I am there, so this is where this product comes in handy! Mondss is so easy to use and does exactly what it says it will. It is like a dressing for your armpit. One end is wider than the other and is totally sealed except for where there will the natural bend of the arm will be when it is applied. In one box of Mondss Underarm Wear there are 10 of these pads (so you get 5 applications out of one box) for the price of €9.99 and can be ordered from mondss.com and will be shipped within Ireland for a price of €1.60 (and €2.50 to a destination outside Ireland). There is a full information sheet in the box with the product with easy to follow instructions on application and ways to remove them. Overall I am very impressed with this little product. I can now wear cute grey tops without the fear that people will stare at the very unappealing pit stains that I am trying to conceal. Once applied and I was dressed you could not tell that I was wearing them. As an added bonus I forgot about them until I was getting ready for bed that night due to them being so discrete. This is most definitely a product that I can see myself purchasing, especially during the summer when the weather gets warmer and I have already recommended them to friends and members of my family.